Bold Monday is an independent font foundry of high quality type founded in 2008 by Paul van der Laan and Pieter van Rosmalen. 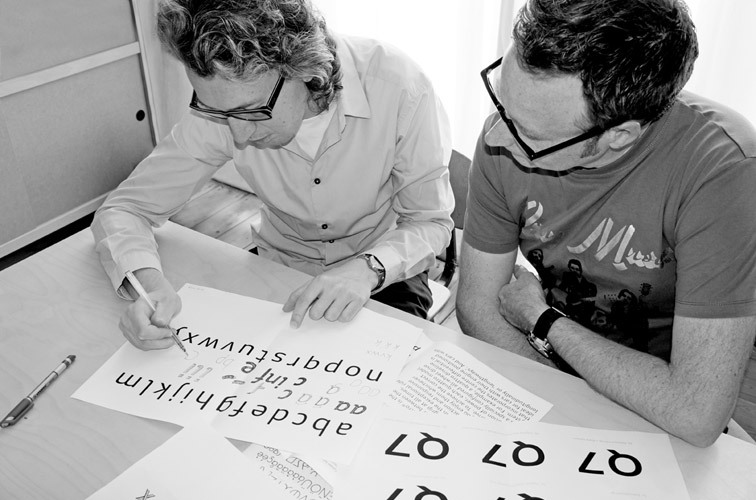 Both have been active in the typographic field for many years already and their typefaces have been published through international foundries before they decided to go it alone. Bold Monday designed numerous custom typefaces for worldwide clients such as Agis health insurance, Audi AG, Royal Carré Theatre, KPN telecom, NBCUniversal and VPRO. Next to custom typefaces Bold Monday licenses publicly available typefaces designed by the founders and other designers.